The last 10-15 years has seen a major shift to open floor plans when it comes to the space planning of the kitchen, dining, and living areas. Last year, our blog also addressed a more recently seen shift to less cabinet doors and more drawers in the kitchen. 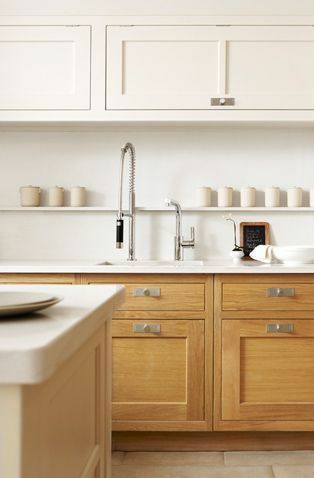 Now, kitchen design is seeing another big shift, alternatives for traditional upper cabinets. 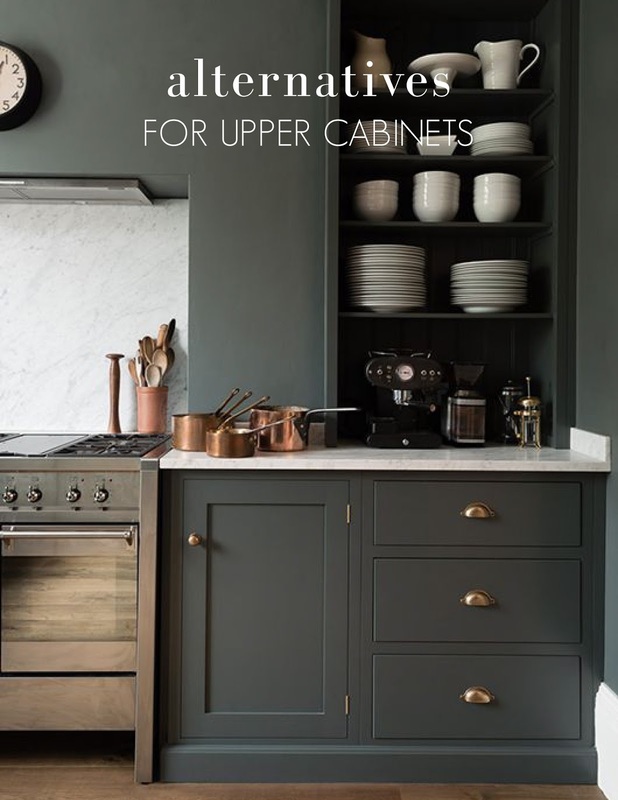 Today, you will find that less upper cabinets are being put into kitchens, or many times, they are laid out in a new and different manner. 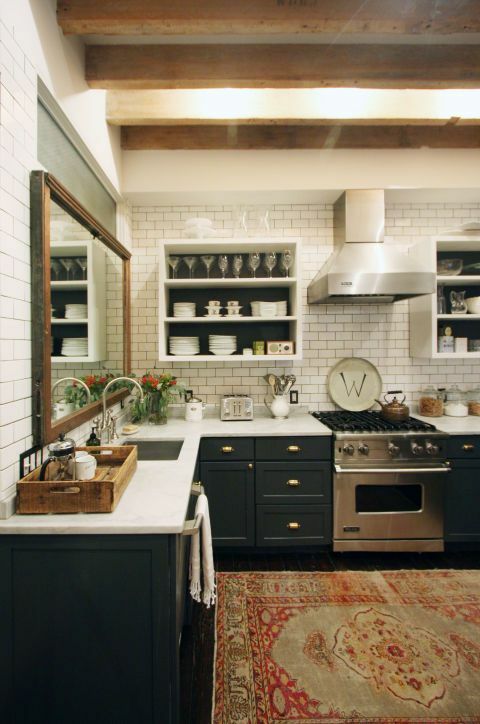 Check out some fabulous kitchens with great upper cabinet alternatives. Above: Having less upper cabinets means more room for windows. Open your kitchen up, not just to your living room, but to your backyard. 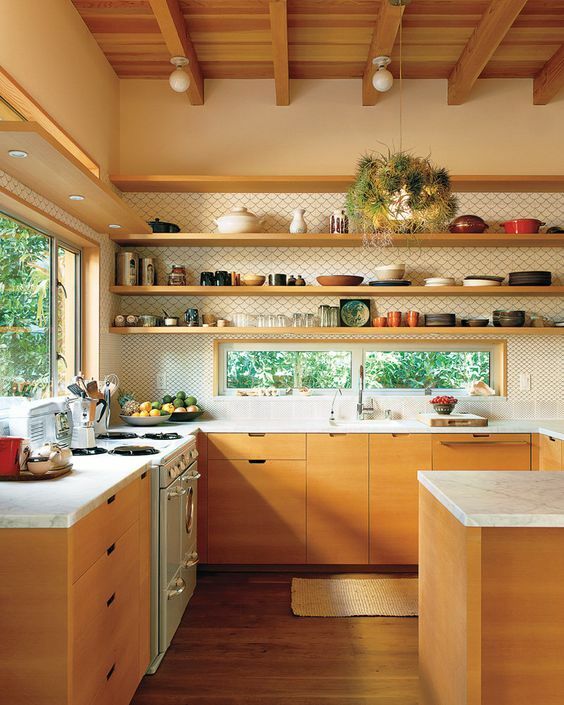 Above: This kitchen has upper cabinets framing the large window. In this kitchen you get both, ample cabinet space and a large window. 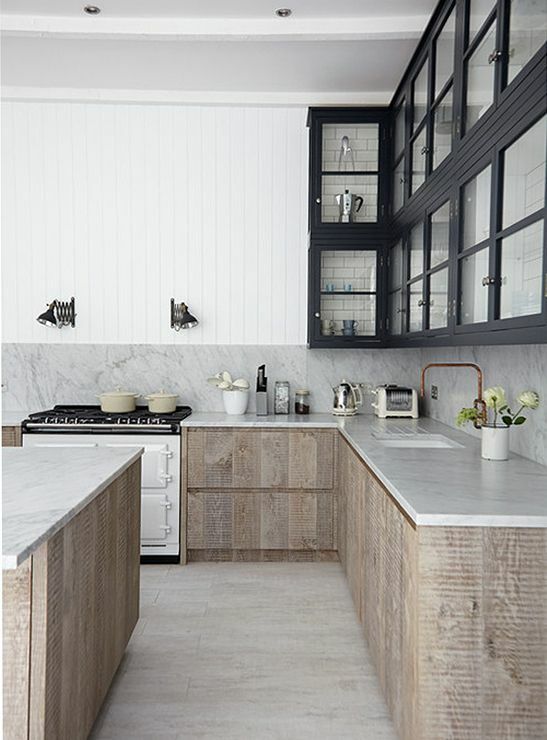 The cabinets here are also white and flat paneled, giving the illusion that they are the walls. Above: Recessed cabinets also give that same illusion that they are the wall or apart of the wall. Here the recessed shelves are also the same color as the wall, to look all as one entity. Above: All of the cabinets, uppers and lowers, have been recessed into the walls. 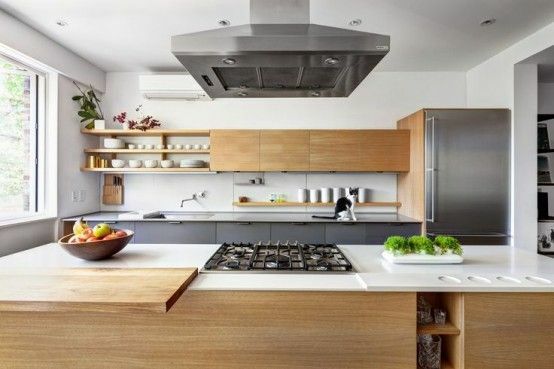 This is very aesthetically pleasing and gives the feeling that the kitchen is more spacious. Nothing sticks out from the walls, providing no obstacles to move around. Above: Instead of china cabinets, open shelves are now a great way to display your dishware; and this way, your dishware now becomes a part of the design. Having mostly shelves in your kitchen makes it feel more open and spacious. Above: If you don’t want everything in your kitchen in display, it’s great to have a combination of both open shelves and cabinets. This way you can display only pretty things and hide all the rest. Above: These cabinets are somewhere in between open shelves and cabinets. The “box” frames the shelves; this effect has a little more of a formal feel to it. Also, it allows you to change the material behind the dishware, notice the dark walls behind the dishware in this photo that matches the lower cabinets. Above: Bringing in more glass doors on your kitchen’s upper cabinets is also a great way to “open up” your kitchen. Glass and mirrors help give the illusion that a room is larger. It is also a great way to display your nice dishware. Above: This is a new style of upper cabinets. The doors lift up instead of opening to the left or the right. This is more ergonomically efficient. Instead of having to peer around a door or knocking them against each other, you just lift them up out of the way. Some even lift up and push back into the cabinet.